Size/Style - A4 Portrait (Vertical) Slanted. Crystal clear for perfect visibility. Flat L-shaped base for single sided display. Note: Brand supplied may vary from image. 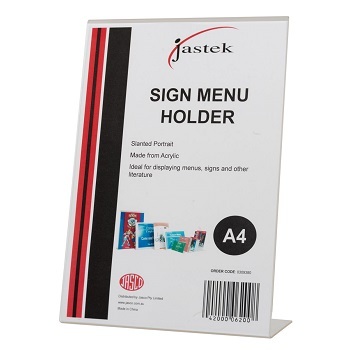 Landscape style A4 Menu/Sign Holder slanted for good content visibility. Size/Style - A4 Landscape (Horizontal) Slanted. Size/Style - A5 Portrait (Vertical) Slanted. Size/Style - A6 Portrait (Vertical) Slanted. 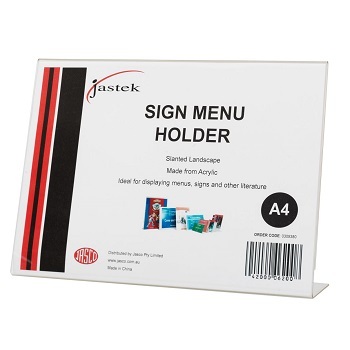 Excellent protection for A4 size certificates, menus and promotional material. Suitable for A4 size documents (297 x 210 mm) - Heavy Weight - 400 Microns. 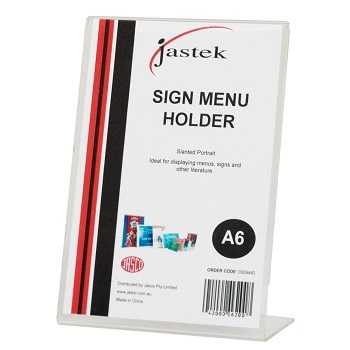 Bound A4 size Document Protectors with 4 pockets - perfect for price lists and menus. 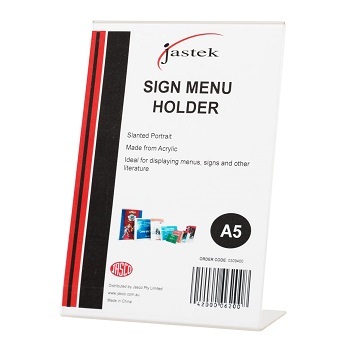 Excellent protection for A5 size certificates, menus and promotional material. Suitable for A5 size documents (210 x 148 mm) - Heavy Weight - 400 Microns. 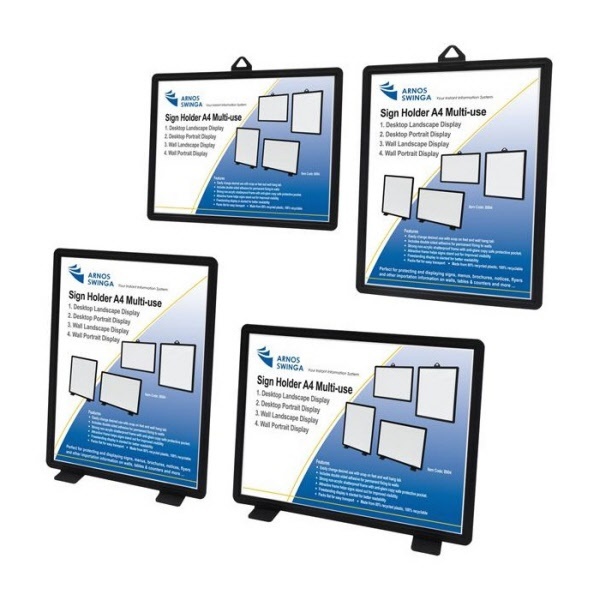 Excellent protection for A3 size certificates, menus and promotional material. Suitable for A3 size documents (420 x 297 mm) - Heavy Weight - 380 Microns.